In this week’s episode of Mad Genius Tips, F&W’s Justin Chapple reveals the easy way to make fluffy, silky whipped cream in a jar. It’s so easy, you’ll be looking for new ways to eat it. We can help with that. Here, seven terrific breakfast recipes that call for a dollop or two of whipped cream. 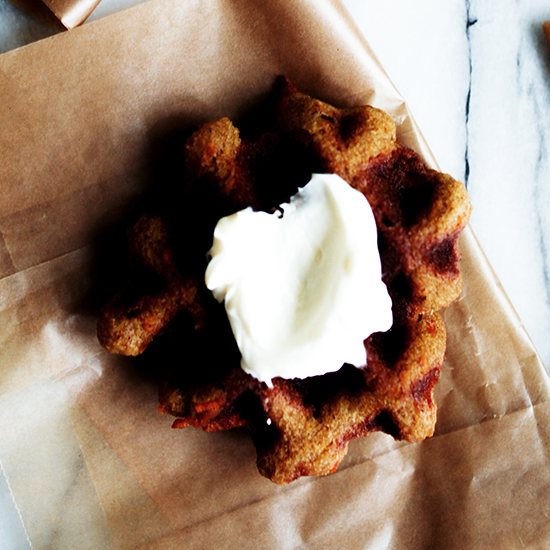 Fluffy and ever-so-slightly chewy, it’s hard to believe these waffles are gluten-free. The intense chocolate flavor in this recipe comes from using top-quality chocolate rather than cocoa powder. Spicy-sweet ginger marmalade is delicious stirred into whipped cream. These delicate crepes are filled the Latin caramel sauce (dulche de leche) and topped with whipped cream. They’re great for brunch or dessert. The espresso-infused whipped cream makes a brilliant, decadent topping for this crazy-rich bread pudding. This french toast is coated with crunchy almonds and topped with whipped cream and strawberries. The mild sweetness of the whipped cream balances the strong, bitter flavor of the espresso in this refreshing granite.